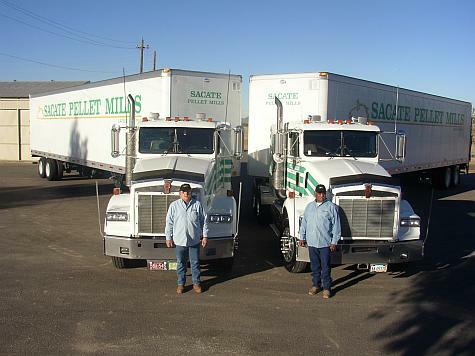 In order to meet the demands of an ever-expanding large animal population in Arizona, Sacate Pellet Mills began manufacturing pellets in 1985. Our product line began with our alfalfa-molasses pellet, the Standard-Bread pellet. A short time later, we introduced our Thorough-Bread pellet which we formulated to meet the nutritional requirements of broodmares and heavy workload horses. We were soon asked by our customers if we would research the possibility of adding a pellet for livestock requiring less protein. To meet our customers' needs, we formulated the Bermuda-Blend pellet. Now our best seller, this pellet provides a balanced ration of bermuda, alfalfa hay and cane molasses. Using only the highest quality ingredients and strict quality control procedures, together with a state-of-the-art pellet mill, we quickly rose to the top of our industry. 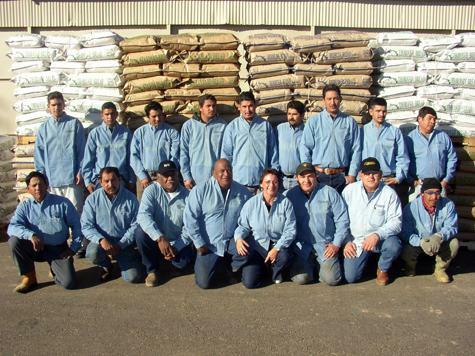 Over the years, we have expanded our operation by adding a second pellet mill, and we now meet the needs of feed store dealers, stables, cattle feeders and horse owners throughout the southwestern United States. 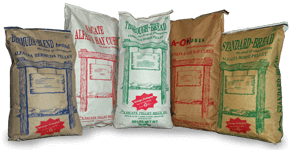 We have been in the business of selling feed and supplies for over 46 years and have recommended and sold Sacate pellets and cubes for over 25 years, when they first started making pellets. We believe that Sacate pellets are a very high quality pellet that has served the livestock industry, especially horses, for years. 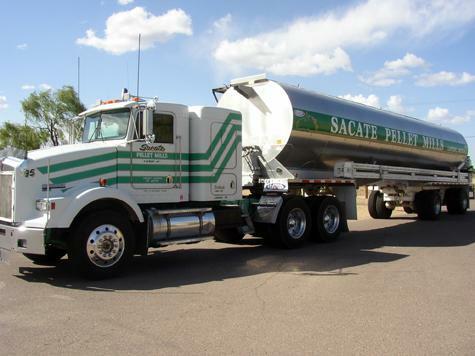 As a business, we have dealt with many suppliers Sacate is and has always been an extremely reputable company of high integrity, giving us great service with our orders, deliveries, and products. We have stocked Sacate Pellets in our store since the day we opened over 25 years ago and couldn’t be happier with the product or service. The consistency of quality and the fact that Sacate does not add in dyes to “enhance” or alter color are the major reasons for choosing and staying with Sacate for so many years. The other reason is the office staff and delivery drivers, who always do an excellent job of keeping us well stocked. There is rarely ever any kind of issue with anything, though I can remember twice in the last 10 years where a bag was broken during delivery; both times the broken bag was noted on the delivery paperwork and then replaced the following week. 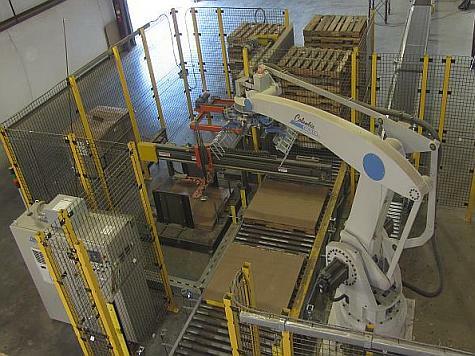 I use Sacate’s cubes myself and can say from personal experience, as well as on a professional level, that I would (and do) recommend both the product and company without hesitation.